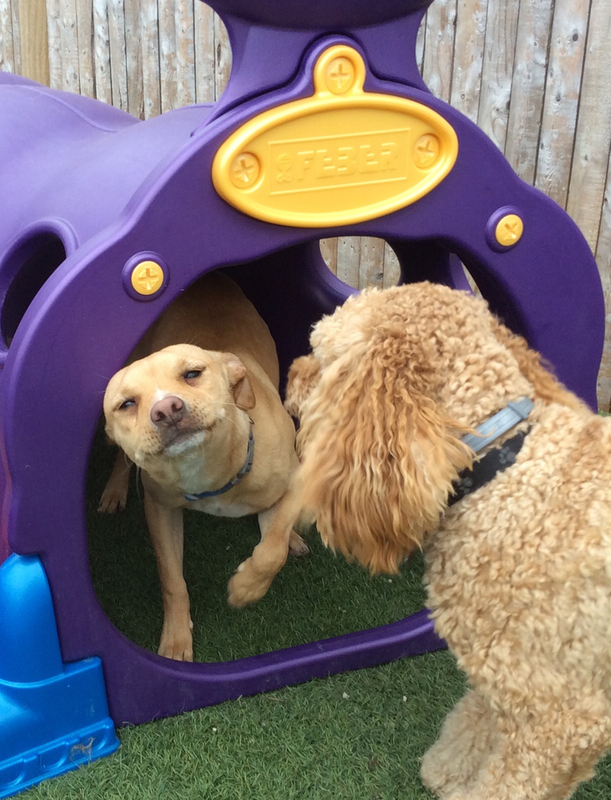 Where being in the dog house, is a good thing! 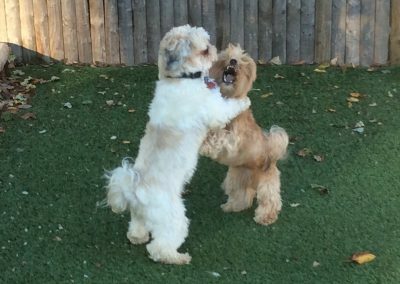 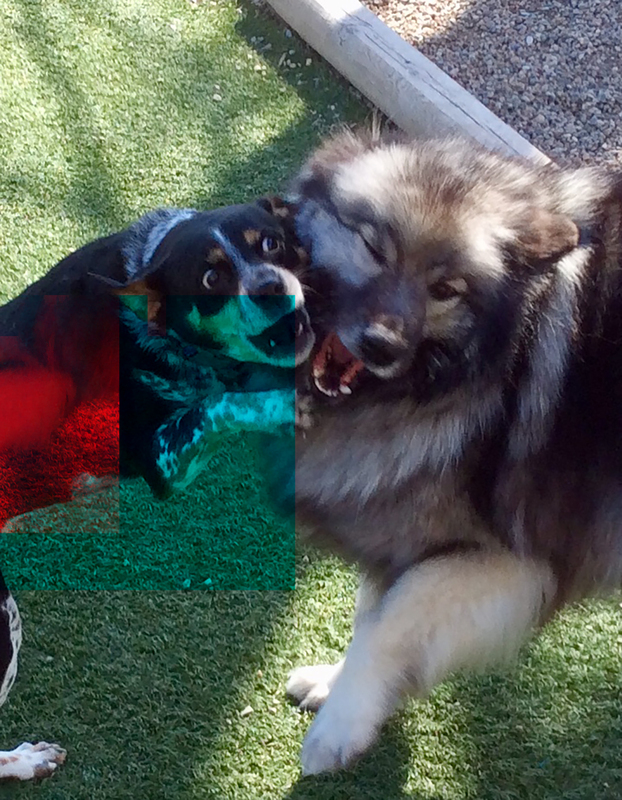 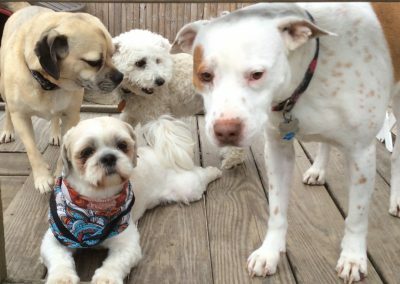 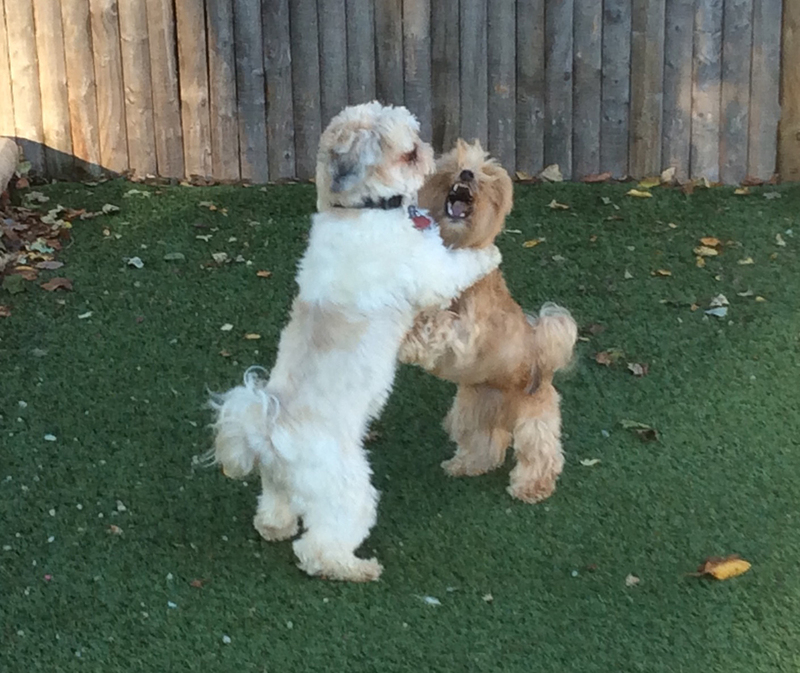 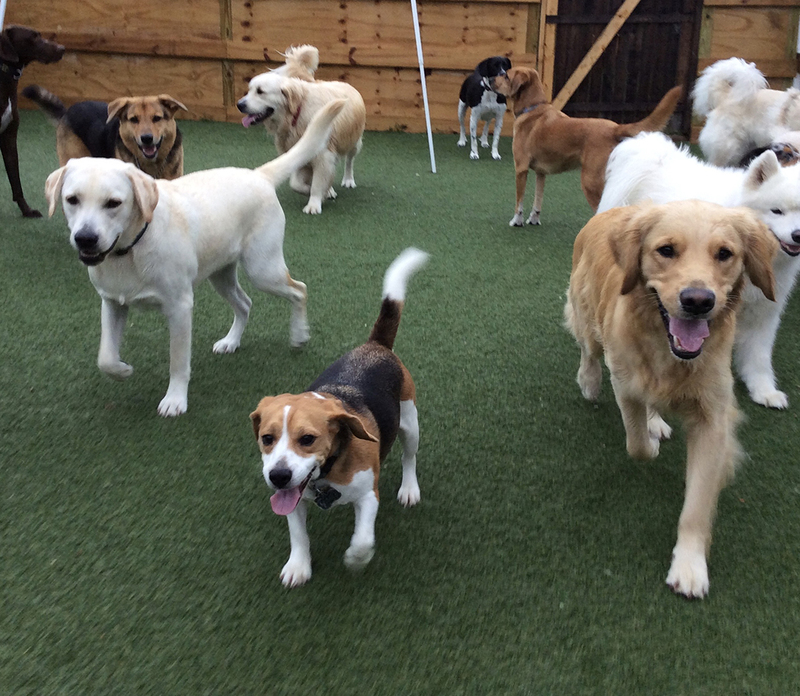 Happy Dog Pet Resort offers cageless, homestyle day care and boarding for friendly, temperament tested dogs. 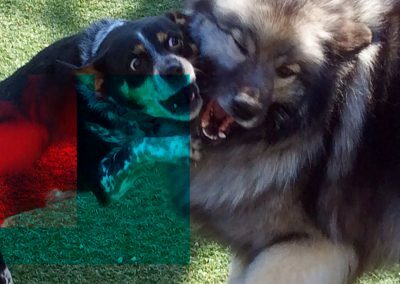 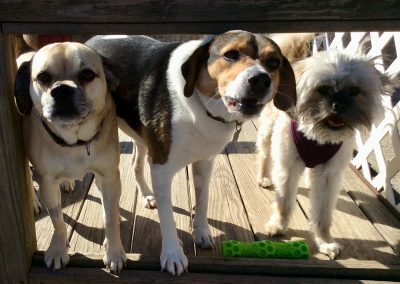 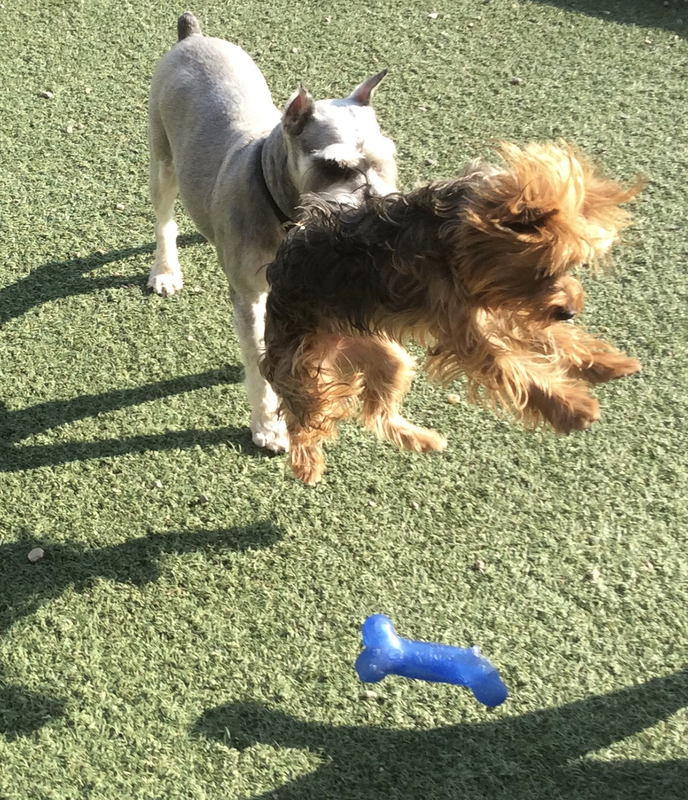 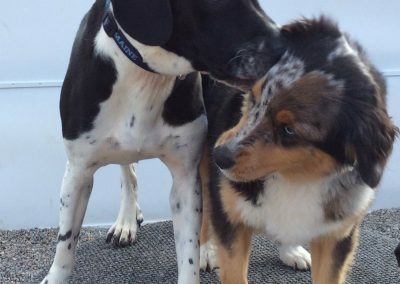 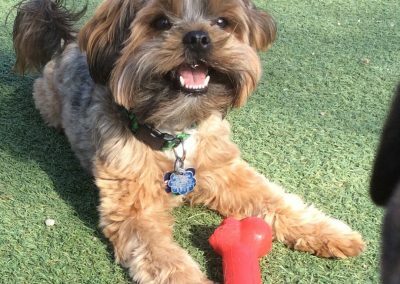 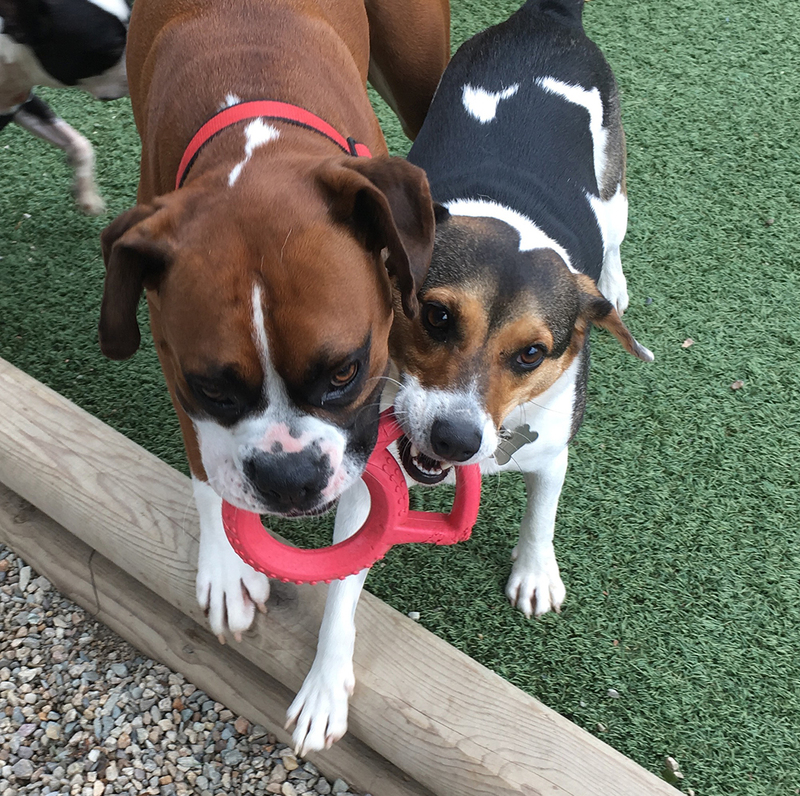 We have several play yards split up by size and temperament, for your dog to run and play by day, as well, as homey, spacious quarters for our overnight guests. Cageless Dog Boarding consists of dogs staying in the Happy Dog Resort, a licensed one floor house that is especially equipped for dogs. 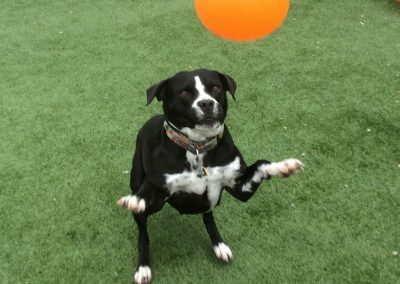 It has non-absorbent floors and wall coverings to ensure effective sanitation for the safety of your pet. 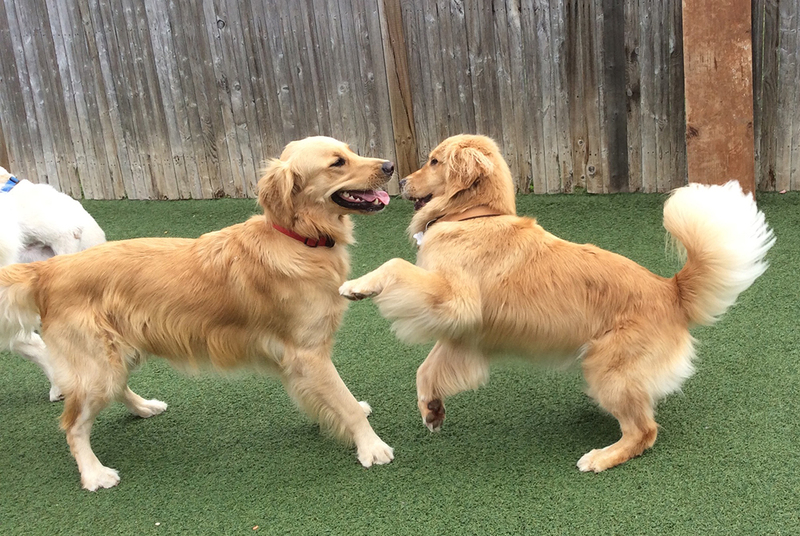 This however, is the only way in which Happy Dog resembles a dog boarding facility. 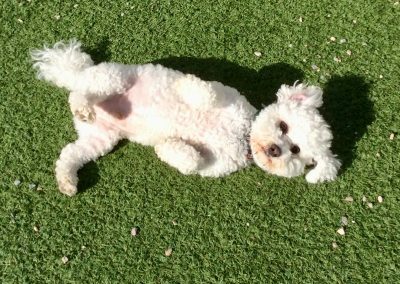 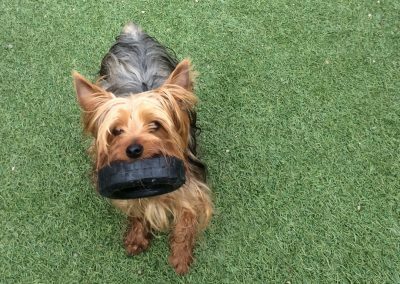 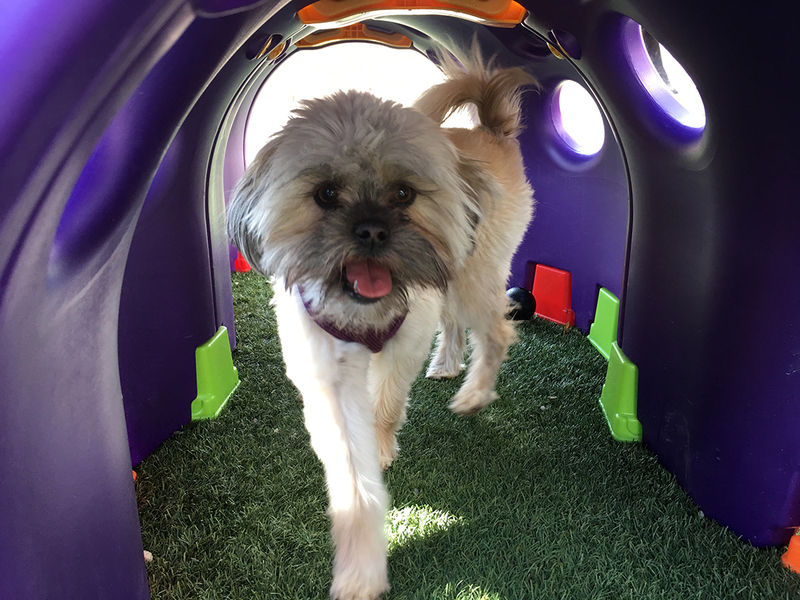 Our facility is designed to make your dog think he/she is staying at someone’s house, thereby greatly reducing his/her “away from home” stress. 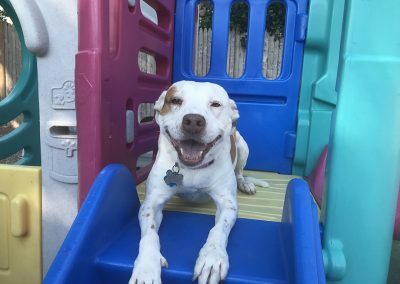 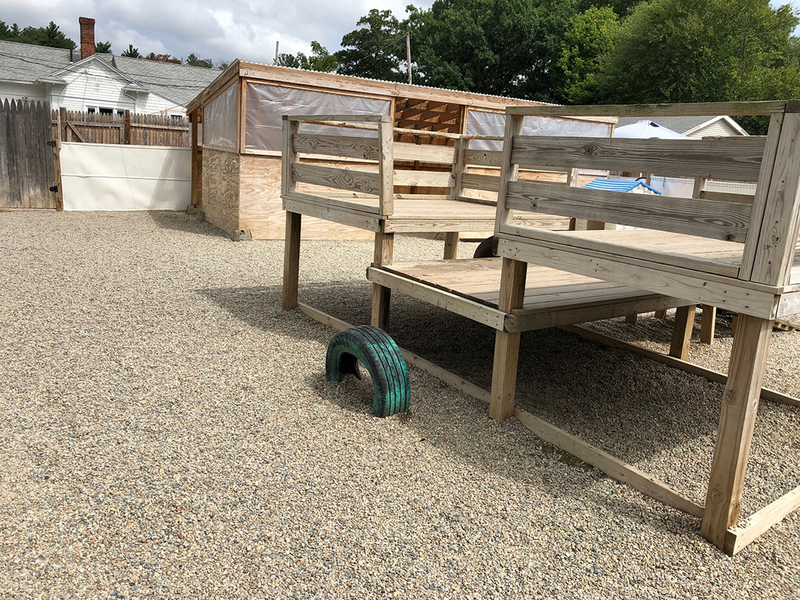 The Happy Dog House has a doggie living room with vinyl couches, which is a designated room for our smaller guests; a kitchen, a playroom, as well as other resting rooms. 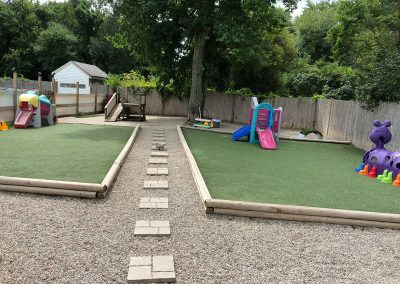 An additional playroom is anticipated to be constructed over the fall of 2018. 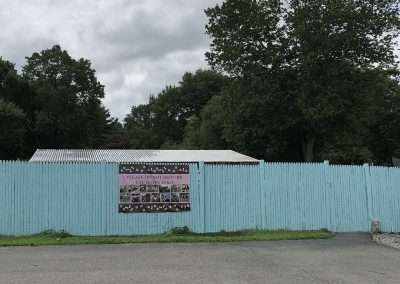 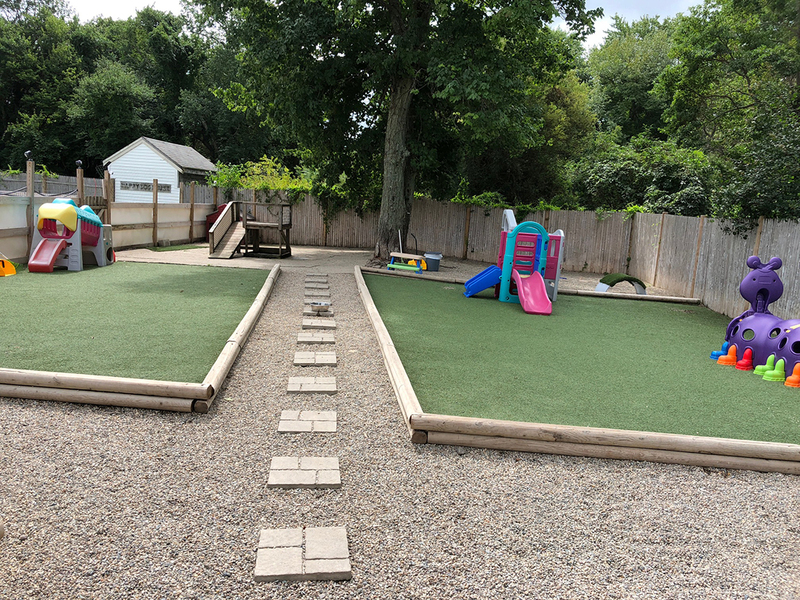 Other amenities include central A/C, cable television, a deck for lounging and over 1/4 of an acre of play yards surrounded by 6 foot stockade fencing. 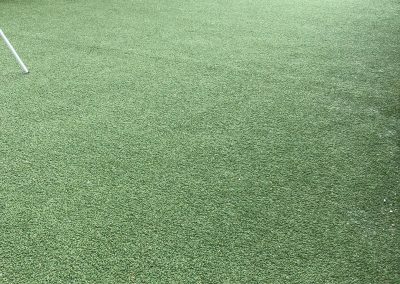 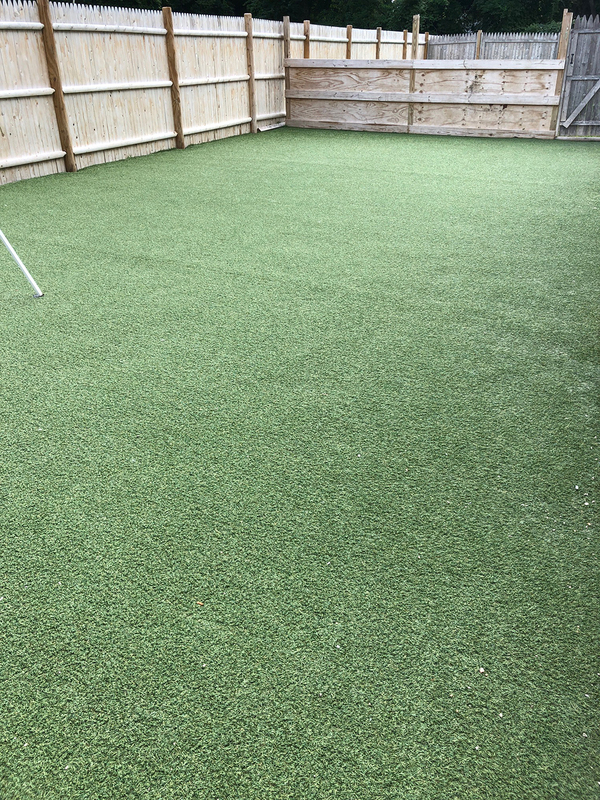 Our play yards are broken into four separate yards, three with artificial turf, please see pictures in the gallery. 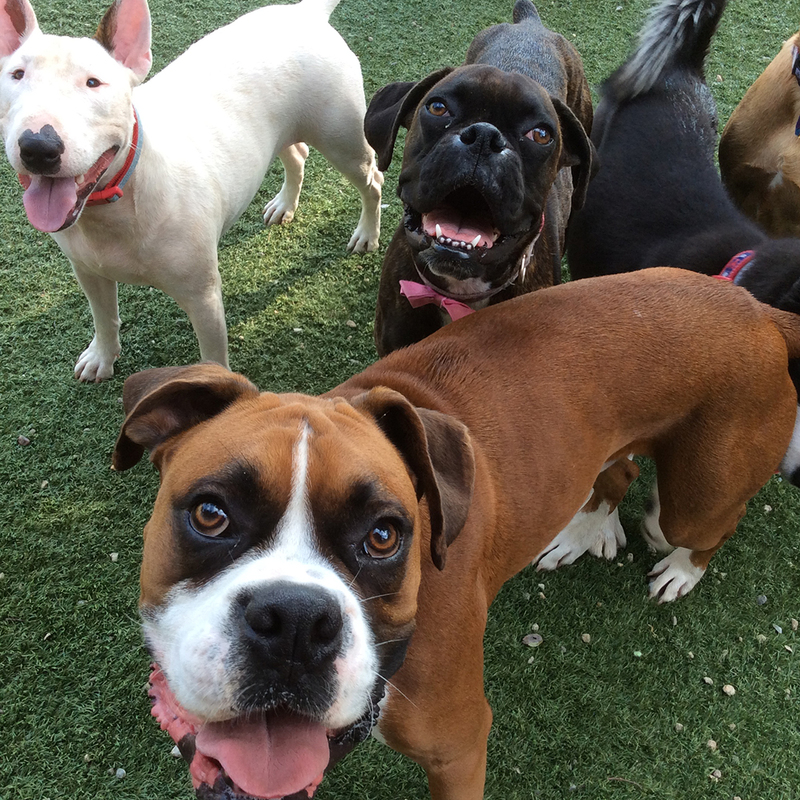 Your dog spends his/her day interacting with other dogs and the staff in a free roaming environment. 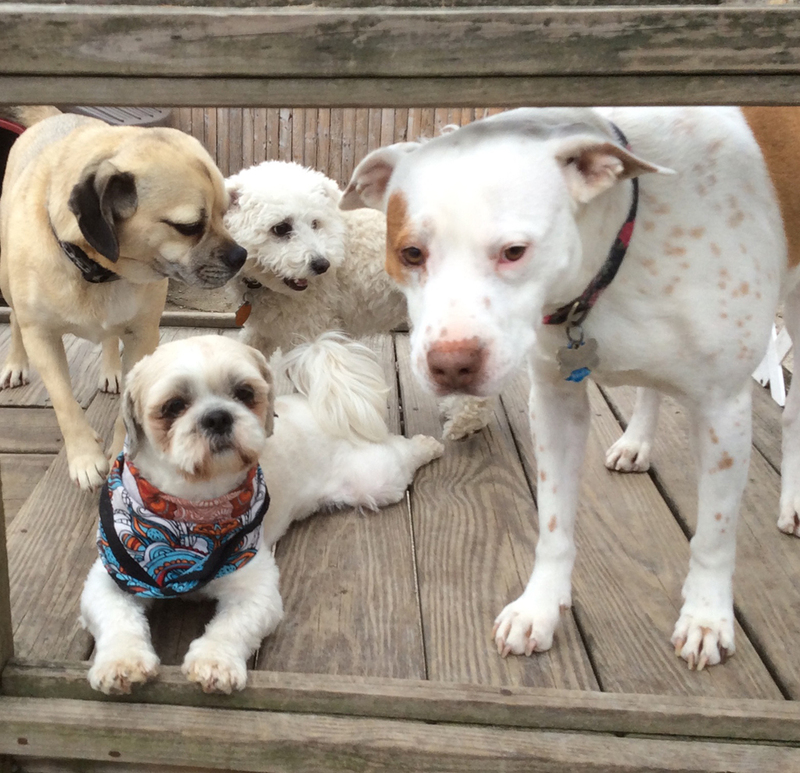 For his/her time with us, your dog is a part of an ever changing, yet well guided, “pack” or family of dogs. 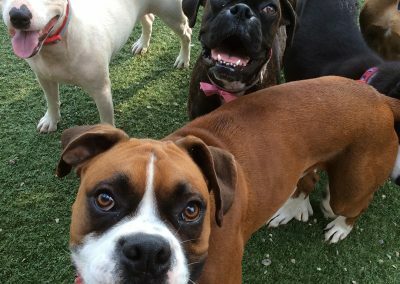 Your dog’s health, behavior, eating habits, emotional and physical needs are monitored and tended to throughout the day by the animal caregivers. Dogs sleep freely or in crates, depending on their current lifestyle and displayed behavior. 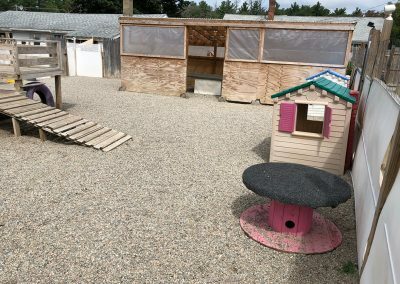 During sleeping hours, the owners reside on the property. 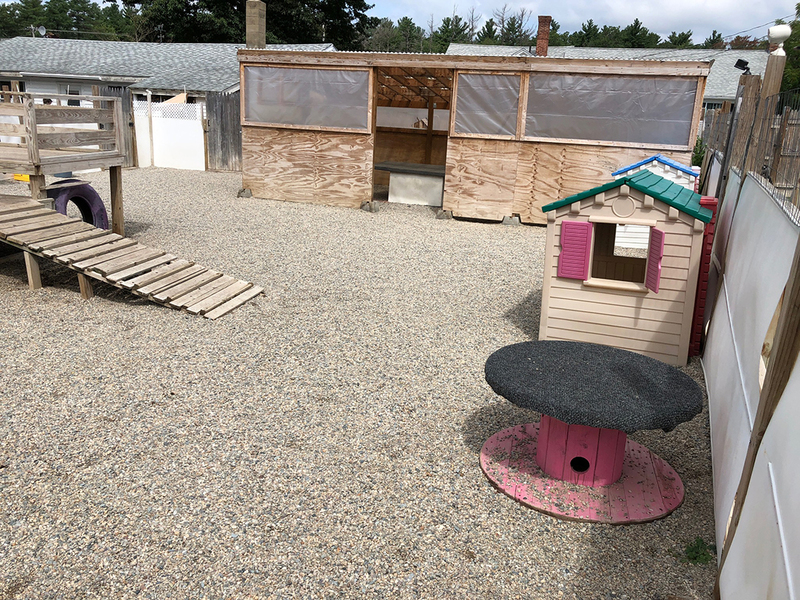 The Happy Dog house is equipped with a video surveillance system to monitor the dogs during sleeping hours, as well as a 24 hour alarm/fire monitoring service. 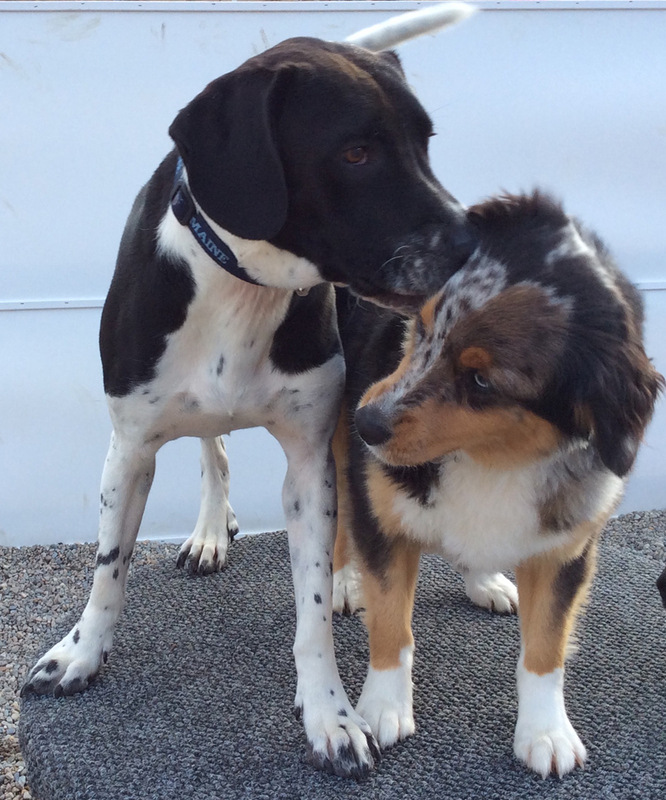 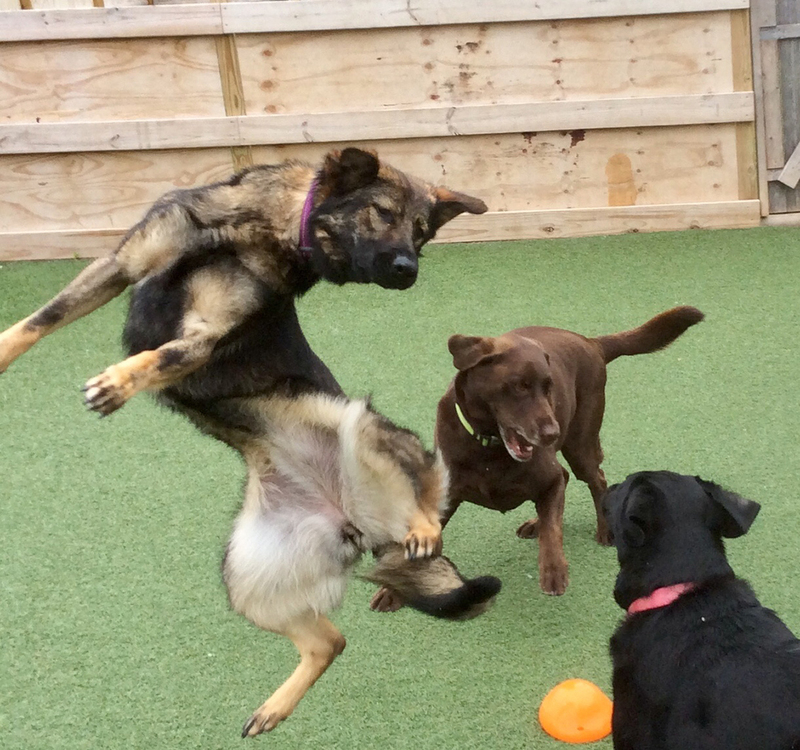 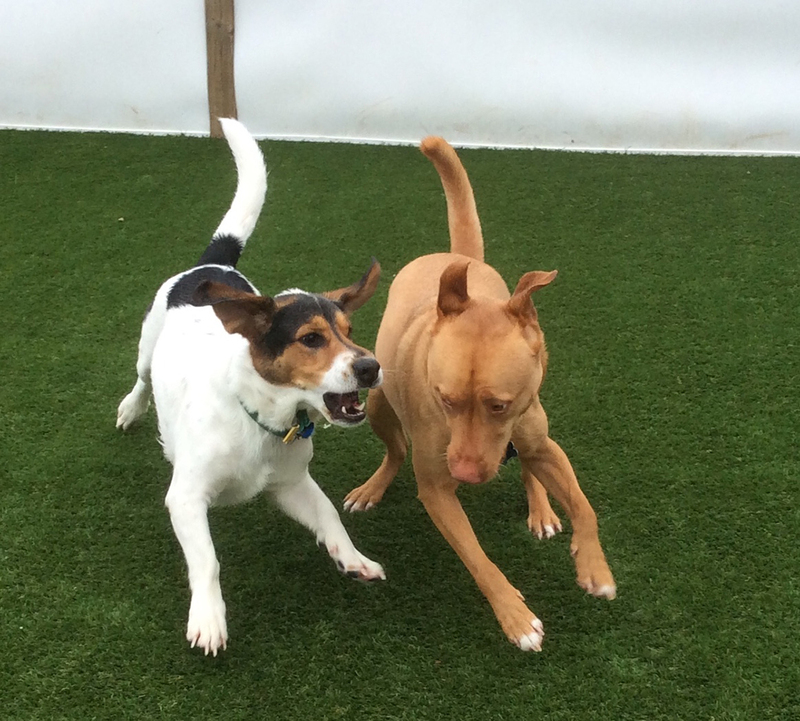 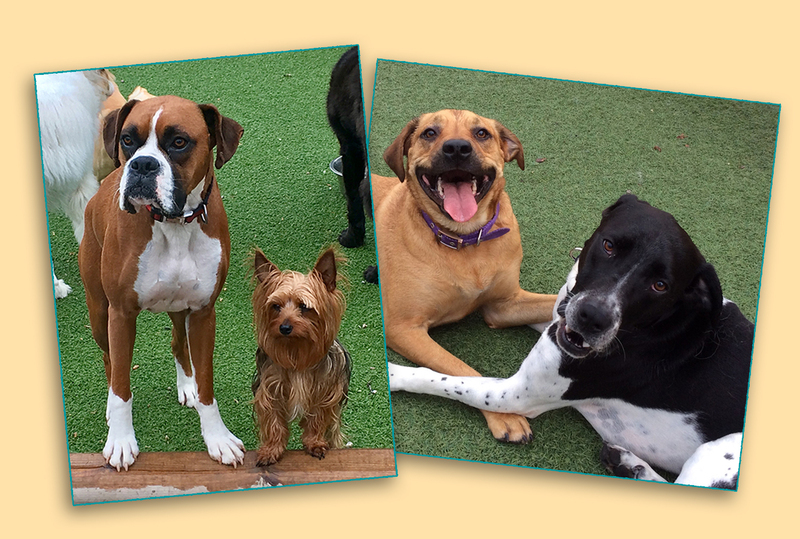 We like to get to know each dog and want them to feel comfortable in this environment. 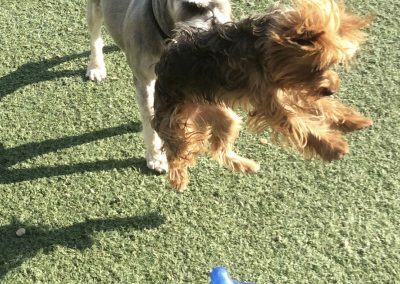 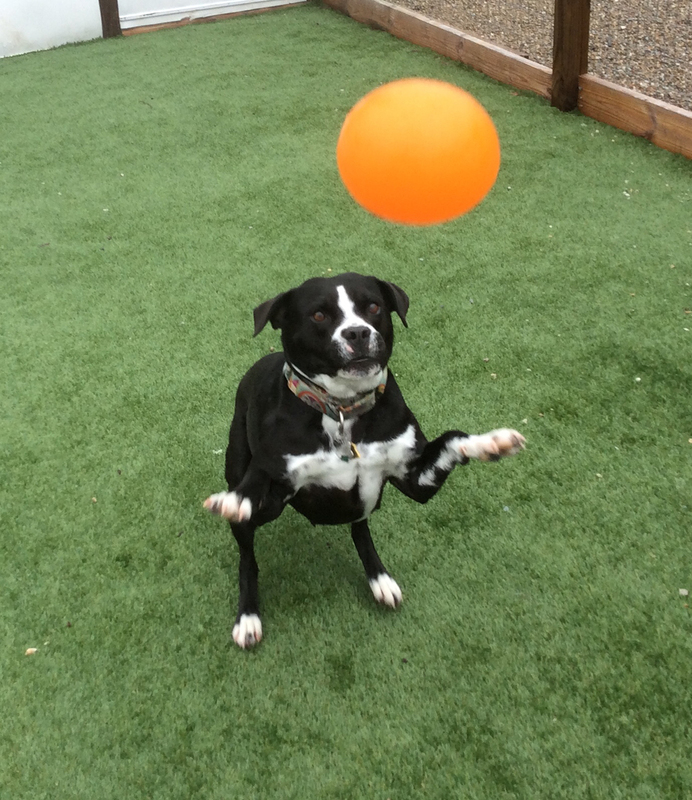 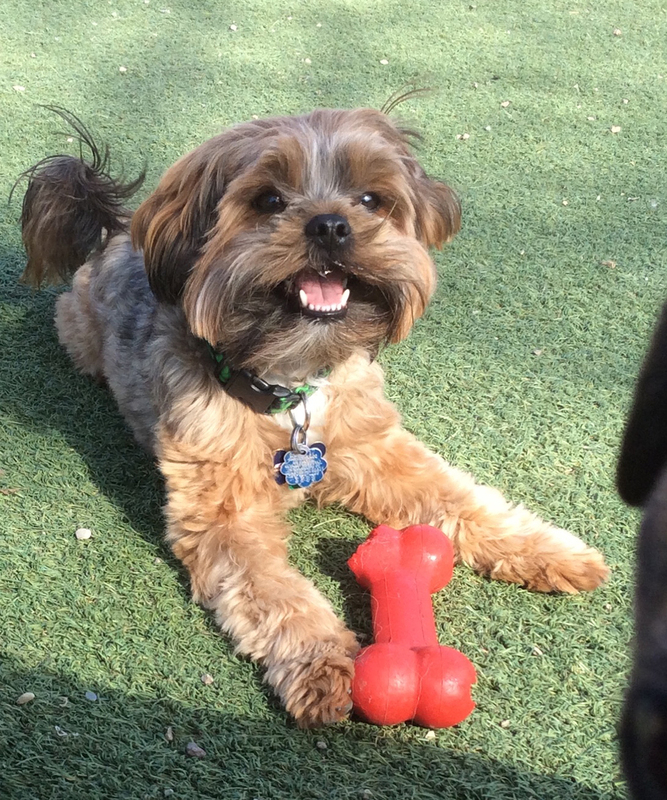 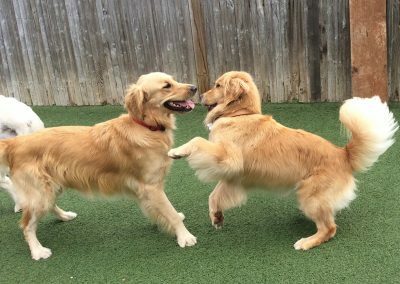 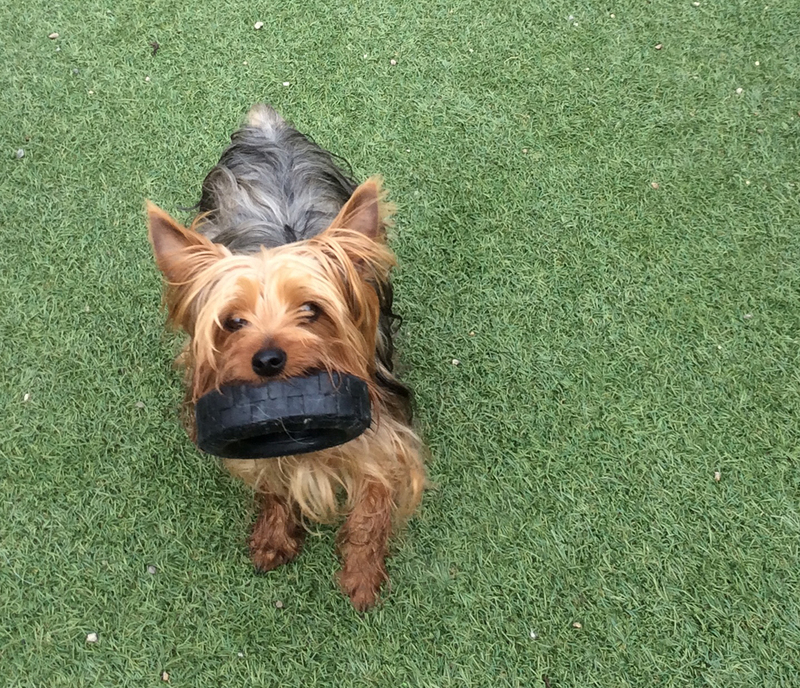 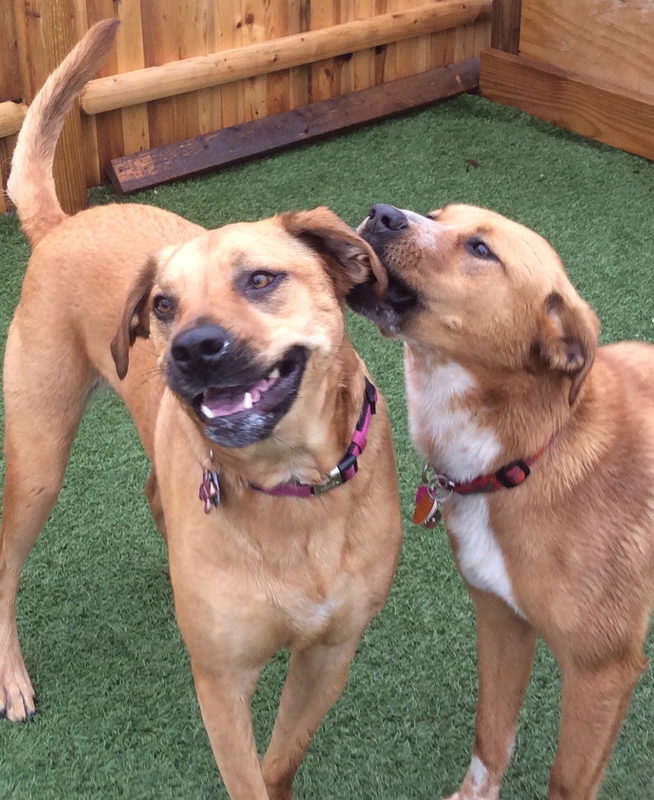 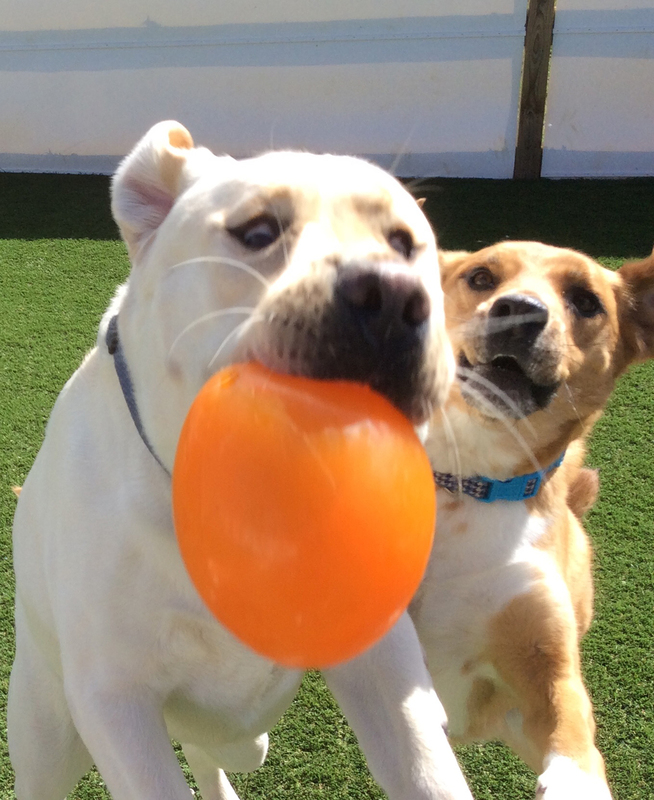 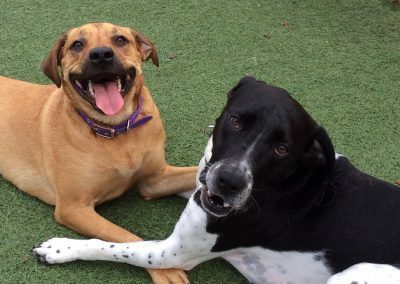 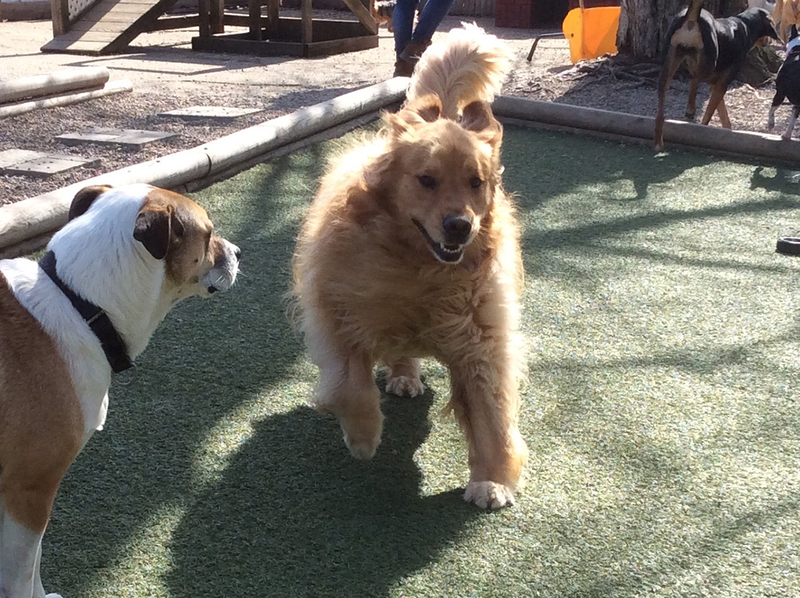 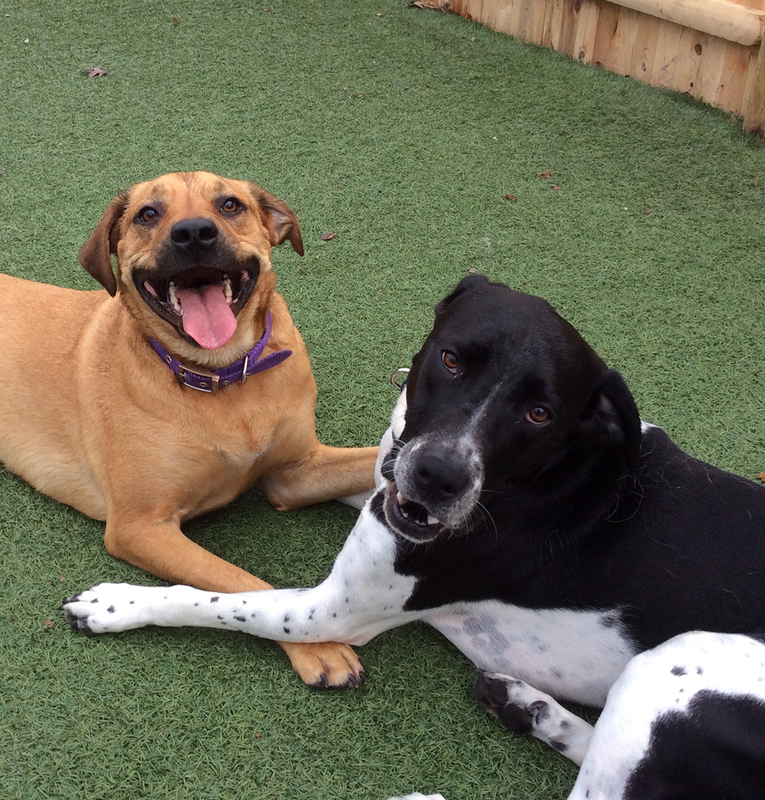 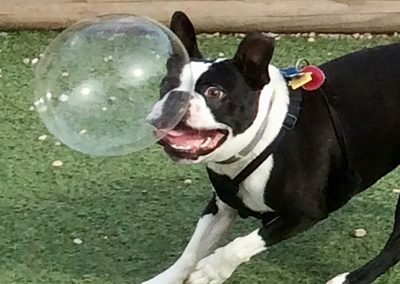 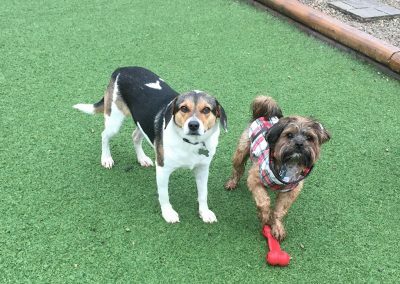 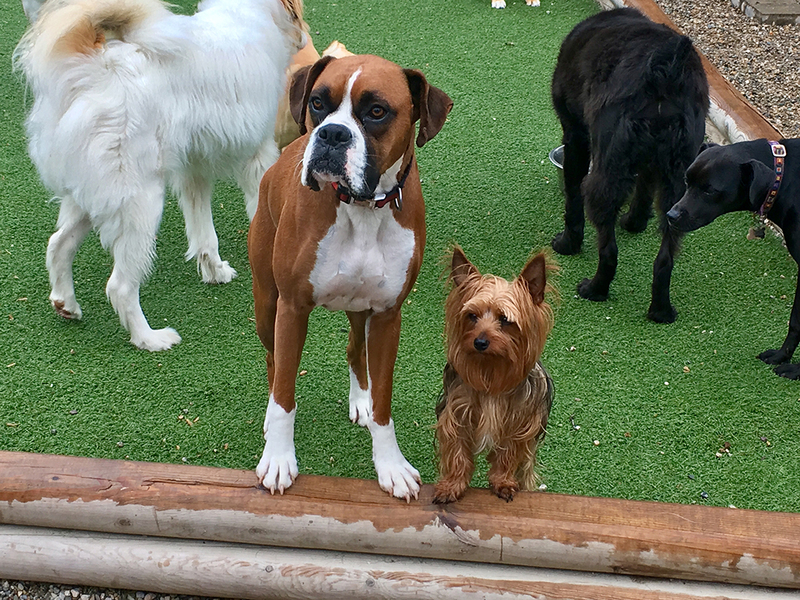 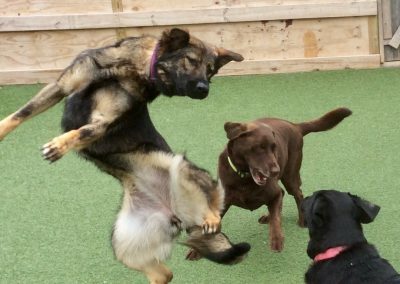 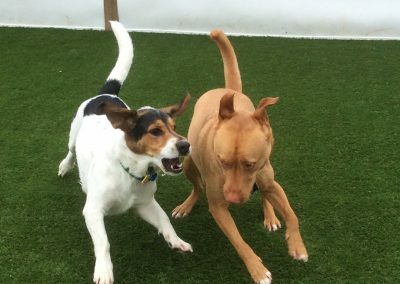 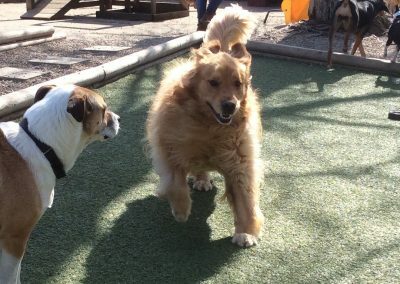 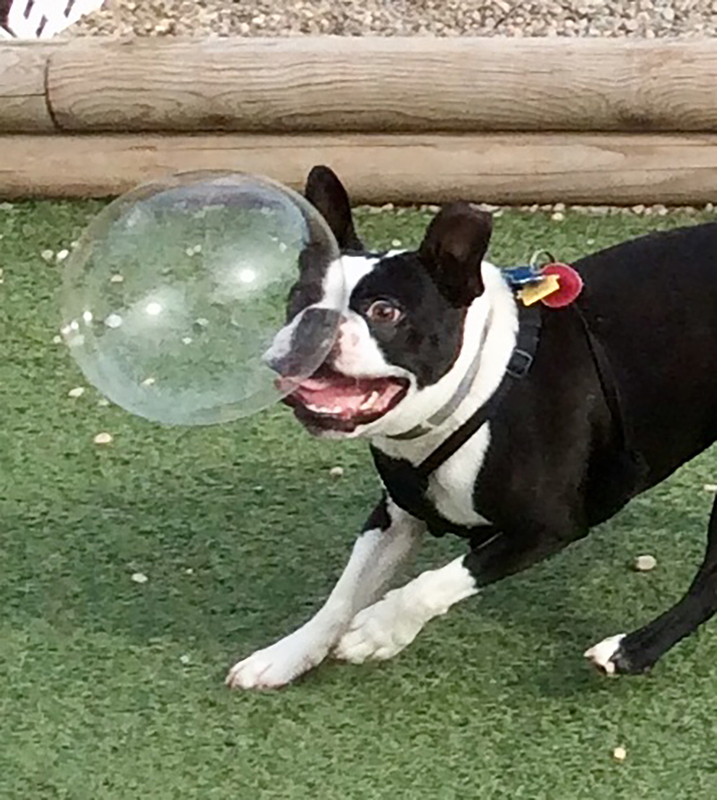 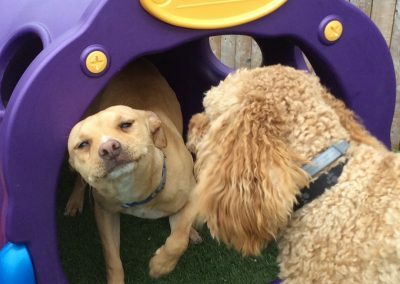 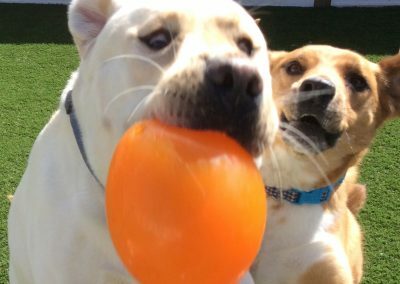 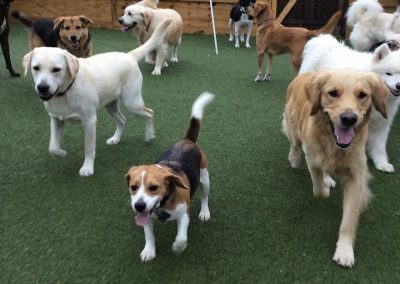 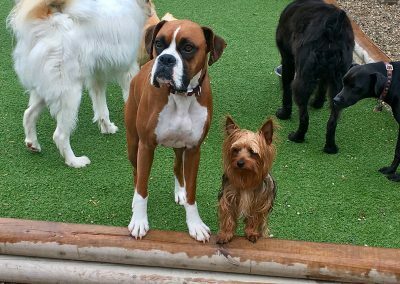 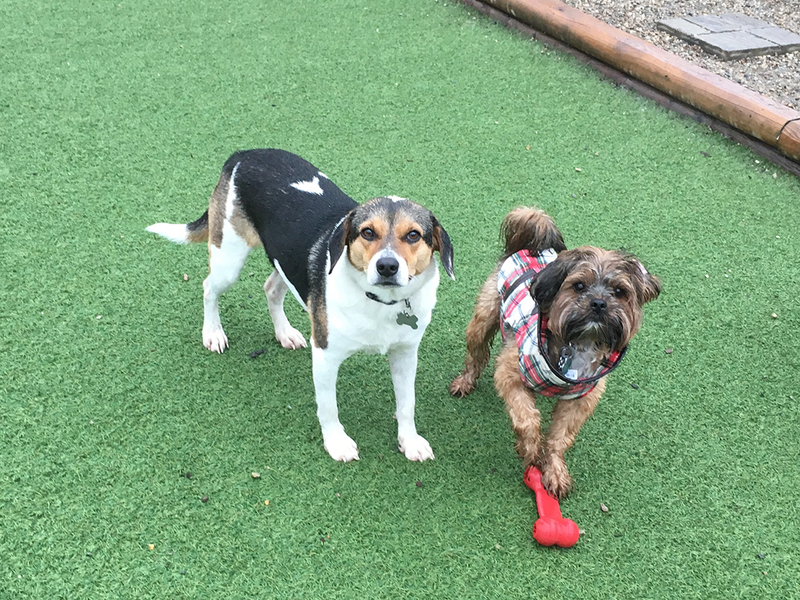 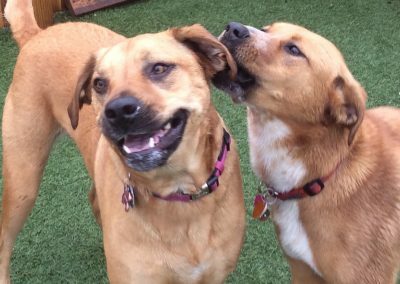 Before accepting a dog for daycare or boarding, we require a trial day in daycare. 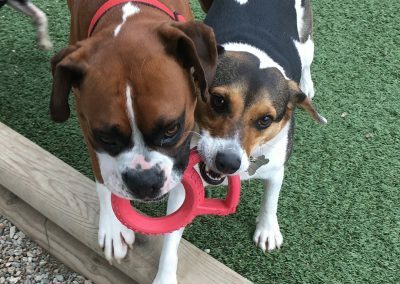 This gives your dog a chance to learn the ropes, get to know our staff and the other dogs and then go home to decompress from a very busy day. 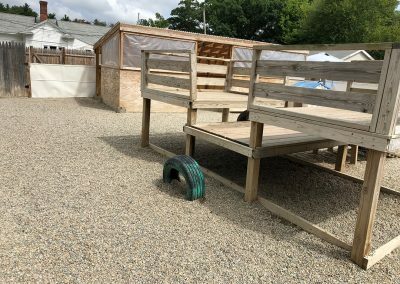 We want to be sure your dog is suited to boarding in this type of environment before taking any reservations. We have a very flexible daycare and boarding drop-off and pick-up schedule. 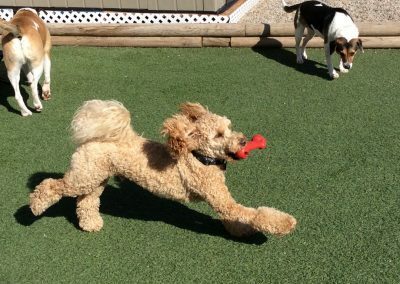 Once you and your dog are comfortable with our facility we can walk you through all of the procedures. 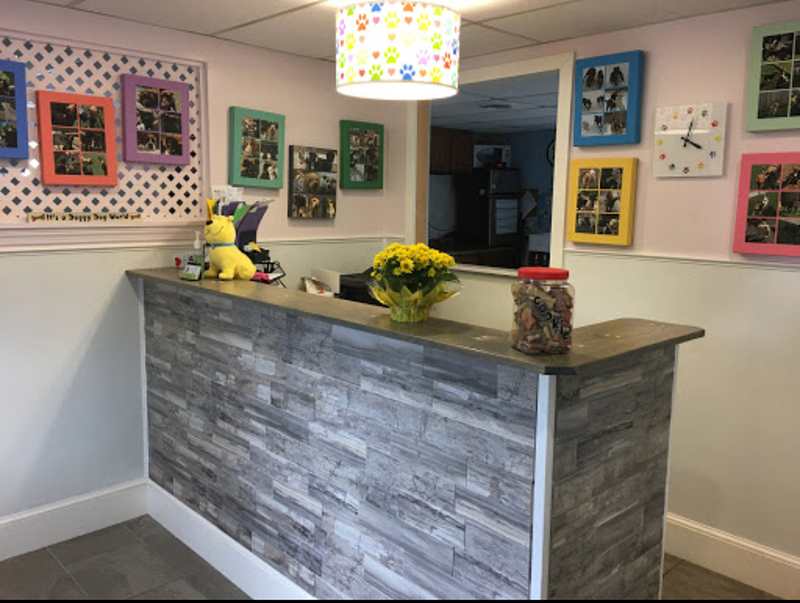 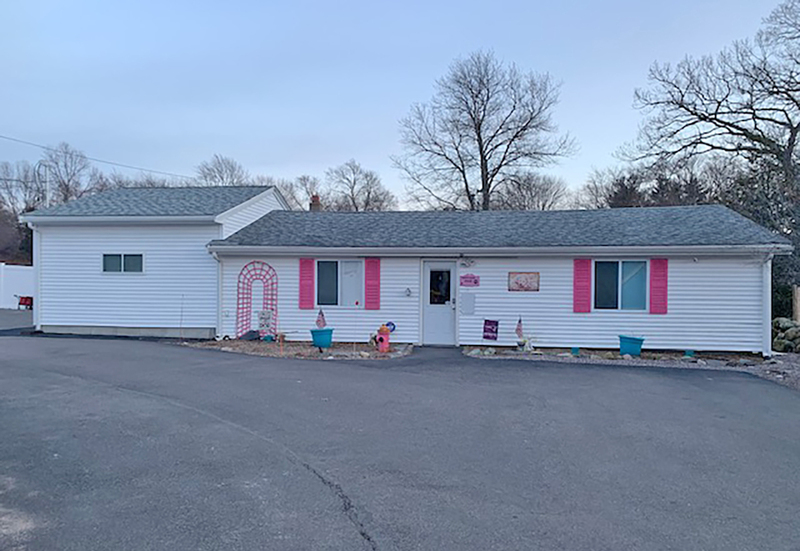 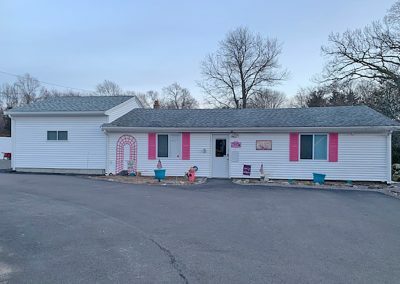 Most of our clients (Boarding and Daycare) are from towns surrounding our Abington location: Weymouth, Whitman, Rockland, East Bridgewater, Brockton, Holbrook, Randolph, Braintree and Quincy. 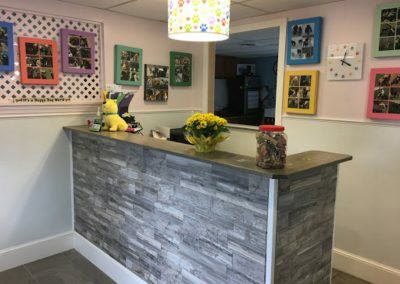 Thanks to wonderful referrals, we have guests visiting from further locations such as Plymouth, Cohasset, Milton and more!